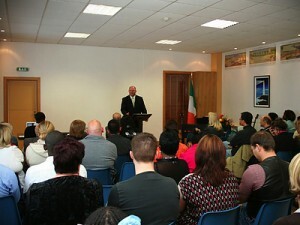 Last week Terrie and I had the privilege of ministering to our missionaries and pastors in Ireland. It was a great joy for us to join Dr. Paul Kingsbury and his wife Dianne as we preached in the churches pastored by Missionary Jerome Pittman and Missionary David O’Gorman. The Lord also gave us the privilege of meeting with a good number of other missionaries and pastors including our own graduates, Justin and Grace Hayes. Besides preaching in the churches in Dublin, we were also able to conduct leadership training for pastors, missionaries, and national leaders during the trip. Perhaps the highlight of this trip was the Sunday morning service at Pastor Pittman’s church. We have had the privilege of supporting Brother Pittman’s church financially, and Brother Pittman’s son Joel is a student at West Coast Baptist College. We have several other students represented at West Coast from the cities of Cork and Dublin, Ireland. As the Sunday morning service began, you could feel the anticipation building. Many hours of work and prayer had gone into the meeting. The building was packed with visitors. As I preached, I sensed a unique anointing from the Lord for that particular service. As I gave the invitation, a good number of people raised their hands indicating they wanted to be saved. Realizing the importance of the hour, I took another few minutes to explain salvation to them. During the invitation, thirteen adults responded to be saved. Perhaps the greatest joy during this invitation was to see the mother of one of our West Coast students accept Christ as her Saviour. Rita Mitchell is the mother of Ashleigh Mitchell, who is a student here at West Coast. It was only after the service that I had found out that Ashleigh and her roommates had gotten up at 3:00 am to pray for that service. I have no doubt that we were laboring together for the Lord as I preached and they prayed. What a blessing it was to talk to Rita’s husband later in the afternoon and to hear him rejoice about his wife’s salvation. He had prayed for her for over ten years! 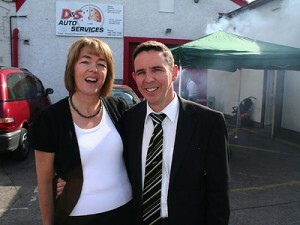 In between meetings, we had the opportunity to visit a few sites in Ireland with the Kingsburys. 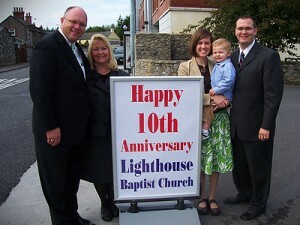 Paul and Dianne Kingsbury are two of the choice servants of God in America. 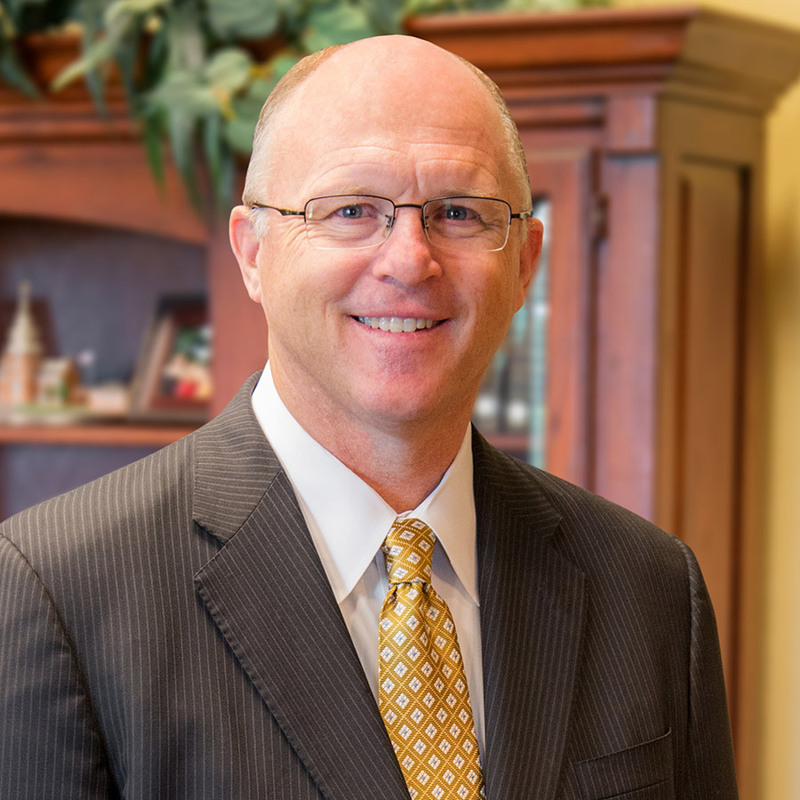 Dr. Kingsbury founded the Reformers Unanimous Ministry that is now ministering to over forty thousand people struggling with addictions across America each Friday evening. 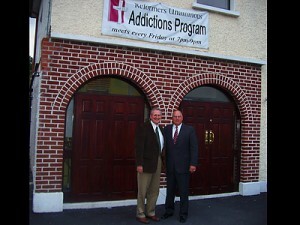 We greatly enjoyed our time with them and it was exciting to see the success of the RU ministry there in Ireland. Another highlight of the trip was the opportunity to see Justin and Grace Hayes serving the Lord Jesus Christ. Justin and Grace are graduates of West Coast, and they had visitors present in the service who accepted Christ as their Saviour that morning. 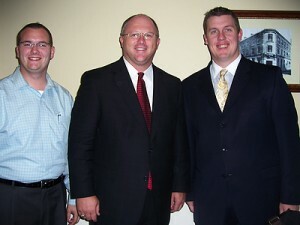 Another West Coast graduate, Brother John Anderson, flew over from England to spend some time with us. It was a joy to see him and to hear of the good start he is having in London. Please pray for all the missionaries in Ireland and in the United Kingdom. These men and women are doing a faithful work for the Lord in countries where the response is not always as quick as some might expect. Nevertheless, they are praying and trusting God for revival.